As far as carnivorous plants are concerned, the common teasel (Dipsacus fullonum) seems like a strange fit. Observe this plant up close, however, and you might notice something interesting. 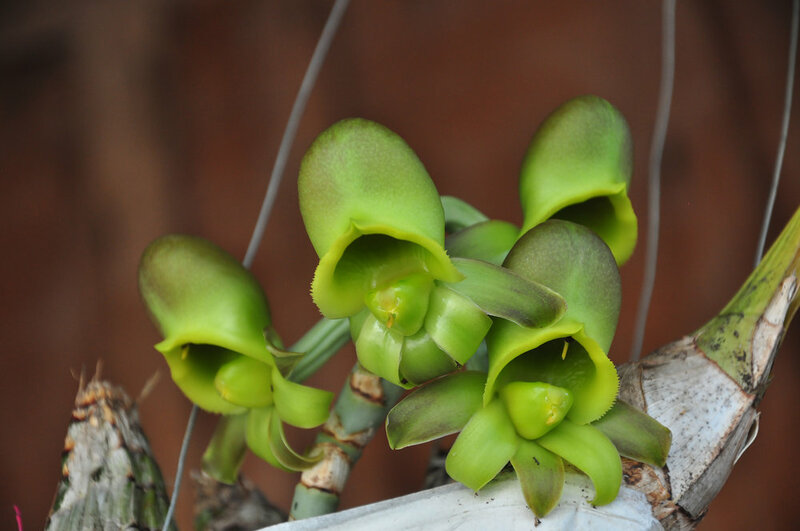 Its leaves are perfoliate and form a cup-like depression where they attach to the main stem. Not only does this cup regularly fill with water, it also frequently traps small insects. Many have speculated over the function of this anatomical trap. Much of this speculation has centered around the idea that it may serve as a form of protection for the flowers located above. Insect herbivores climbing up the stem in search of food instead find a moat of water. Some inevitably fall in and drown in the process. Other hypotheses have been put forward as well including the possibility of something approaching carnivory. The idea that common teasel could be, to some degree, carnivorous never really went away. For most of this time it has remained entirely theoretical. There simply was no empirical evidence available to say otherwise. All of that changed with a 2011 study published in PLOS. A research duo finally put this theory to the test in the first ever experiment to see if teasel gains any sort of nutrient benefit from its insect victims. By systematically supplying teasel plants with insect prey, the team was able to look at how plants responded to the addition of a potential meal. They added various levels of insect larvae to some plants and removed them from others. For their study, evidence would come in the form of some sort of physiological response to the feeding treatments. If teasel really is obtaining nutrients from its insect victims, it stands to reason that those nutrients would be allocated to either growth or reproduction. The resulting data offers the first evidence that teasel may in fact be benefiting from the insect carcasses. 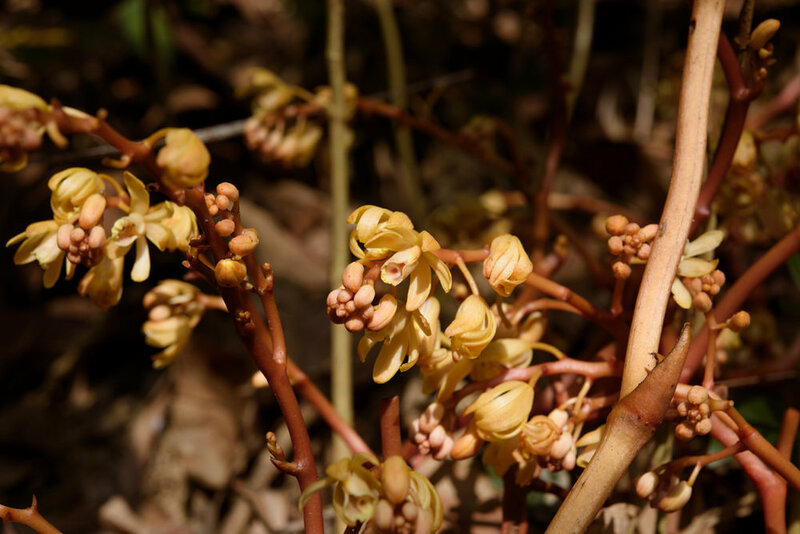 Although the team found no evidence that plants supplemented with insects were increasing in overall biomass, they did see a positive effect on not only the number of seeds produced but also their size. In other words, when fed a diet of insects, the plants weren't growing any larger but they were producing larger amounts of heavier seeds. This is a real boon for a plant with a biennial life cycle like teasel. The more healthy seeds they can produce, the better. As exciting as these finds are, one must temper their expectations. As the authors themselves state in their paper, these findings must be replicated in order to say for certain that the effects they measured were due to the addition of insect prey. Second, no chemical analyses were made to determine if the plants are actively digesting these insects or even how available nutrients may be absorbed. Simply put, more work is needed. Perhaps teasel is a species that, evolutionary speaking, is on its way to becoming a true carnivore. We still can't say for sure. Nonetheless, they have given us the first evidence in support of a theory that went more than a century without testing. It is interesting to think that there is a strong possibility that if someone wants to see a carnivorous plant, they need go no further than a fallow field. For most of the growing season, tell boneset (Eupatorium altissimum) is largely overlooked. When it comes time to flower, however, it is impossible to miss. Contrasted against a sea of goldenrods, its bright white flowers really stand out. This is a hardy species, tolerating lots of sun and dry soils. It is also a boon for pollinators and is usually humming with attention. To the naked eye, it would seem that there is nothing strange going on with this species. It grows, flowers, and sets seed year after year. However, a genes eye view of tall boneset tells a vastly different story. 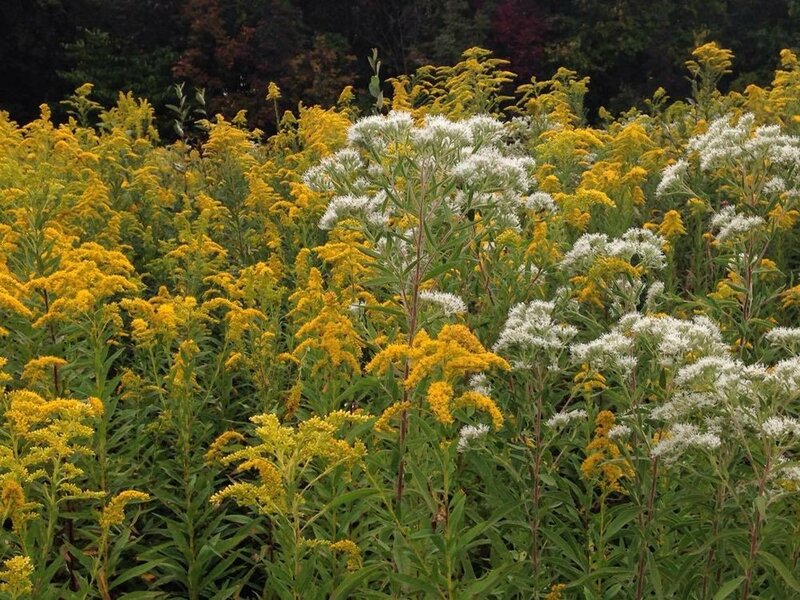 A population wide study revealed that the vast majority of the tall boneset plants we encounter are females. In fact, only populations found in the Ozark Mountains were found to be sexually viable. This was quite fascinating considering how wide spread this species is in North America. 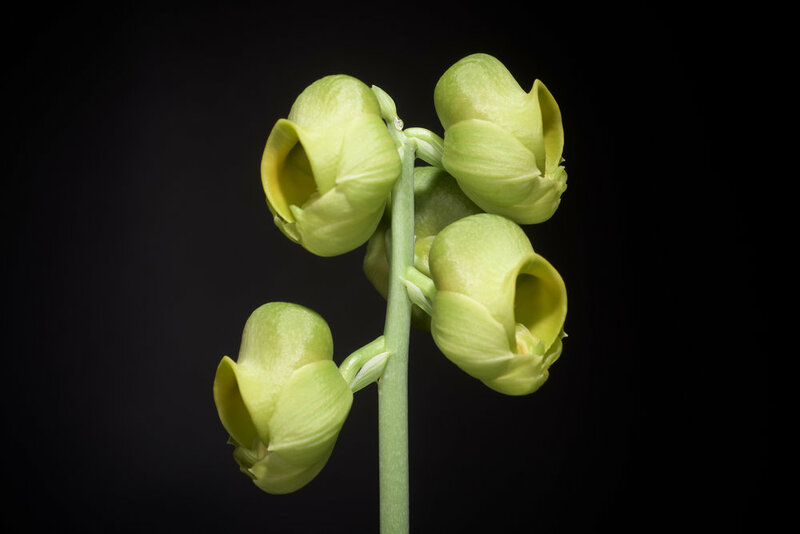 A close examination of the genome revealed that sexual plants were genetically diploid whereas the female-only plants were genetically triploid. 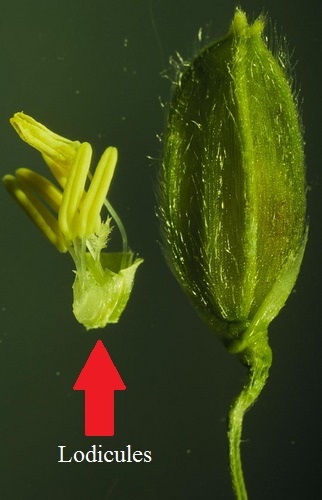 These triploid plants produce sterile male parts that either have highly deformed pollen grains or produce no pollen at all. 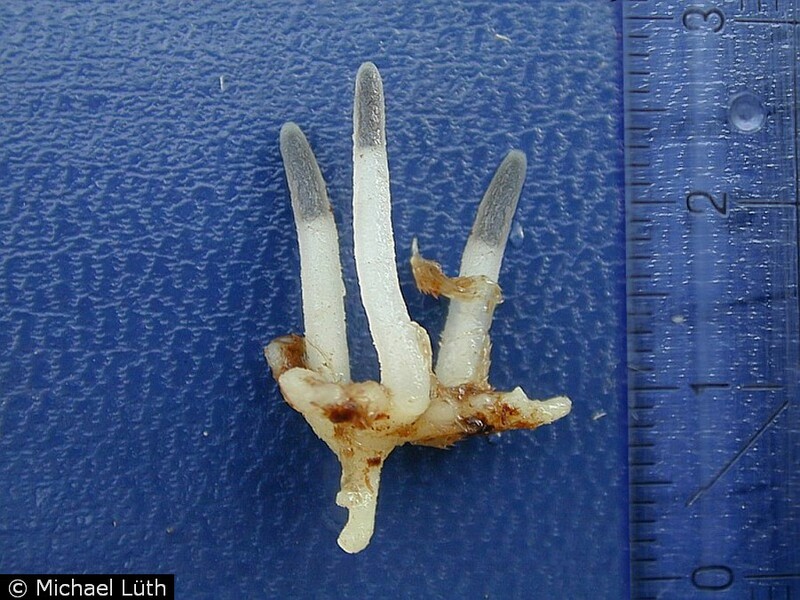 Sexual populations of tall boneset do not reproduce vegetatively. They must be cross pollinated in order to set seed. Such is not the case for the female-only populations. These plants set seed on their own without any pollen entering into the equation. The seeds they produce are essentially clones of the mother plant. Such asexual reproduction seems to be quite advantageous for these plants. For starters, they produce considerably more seed than their sexually reproducing relatives. The offspring produced from those seeds, having the same genetic makeup as their mothers, are inherently well-adapted to whatever conditions their mothers were growing in. As such, populations can readily colonize and expand, which goes a long way in explaining the female-only dominance. Although tall boneset really hits its stride in midwestern North America, it can be found growing throughout the eastern portion of this continent. Casual observation would never reveal such interesting population dynamics which is why single species studies are so important. 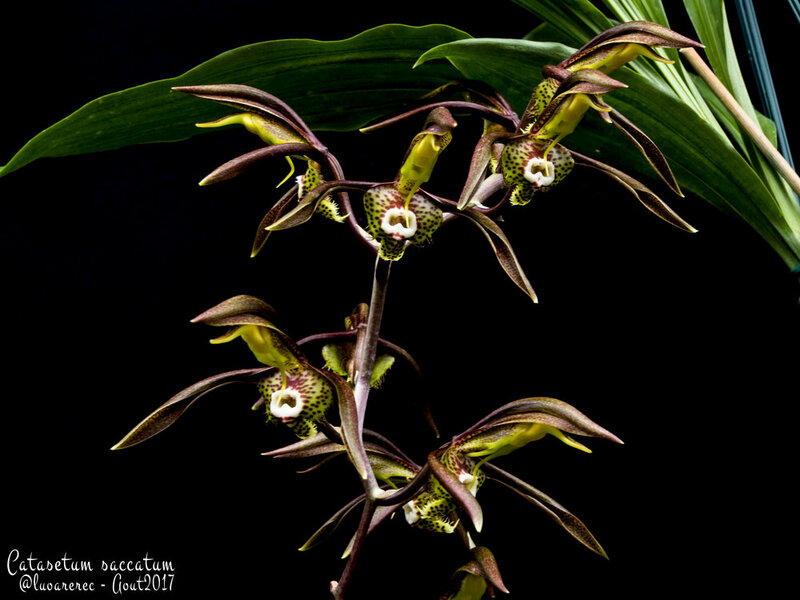 Not only do we learn that much more about a beloved plant, we also gain an understanding of how plants evolve over time as well as factors one must consider should conservation measures ever need to be considered. 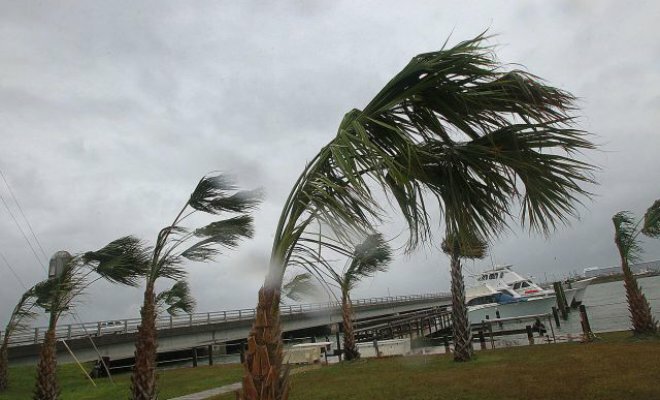 How Do Palms Survive Hurricanes? The destructive force of typhoons and hurricanes are no joking matter. Human structures are torn to shreds and flooded in the blink of an eye. It is devastating to say the least. With all of this destruction, one must wonder how native flora and fauna have coped with such forces over millions of years. The true survivors of these sorts of storms are the palms. What would completely shred an oak seems to ruffle a palm tree. What is it about palms that allows them to survive these storms intact? To better understand palm adaptations, one must first consider their place on the evolutionary tree. Palms are monocots and they have more in common with grasses than they do trees like oaks or pines. 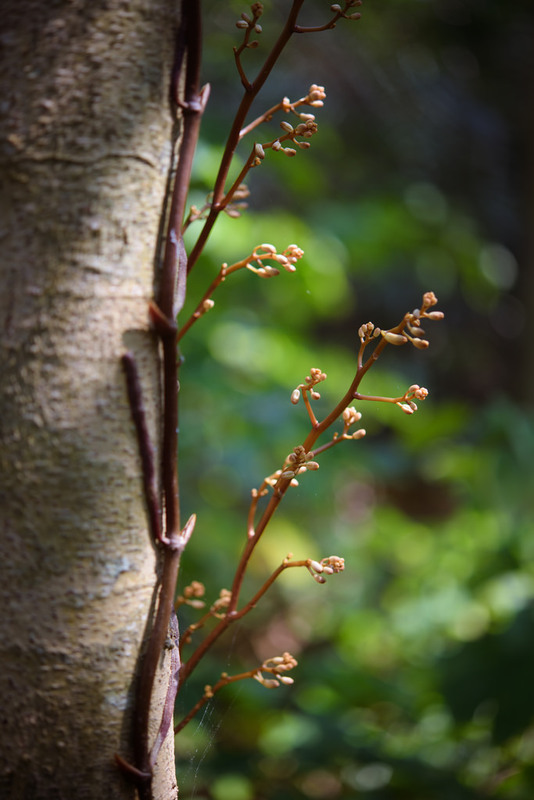 Their wood evolved independently of other tree species. 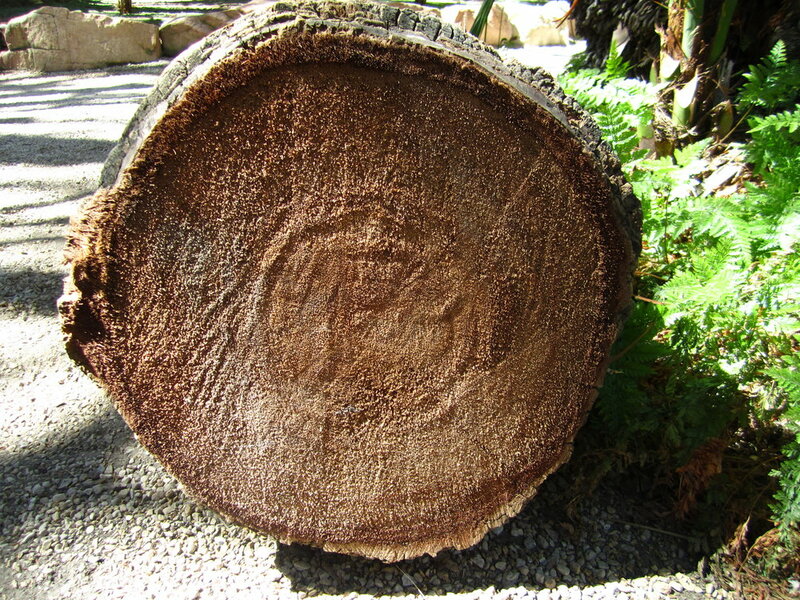 Take a look at a palm stump. Instead of rings, you will see a dense structure of tiny straws that resemble the cross section of a telephone wire. This is because palms do not produce secondary xylem tissues that give other trees their rings. 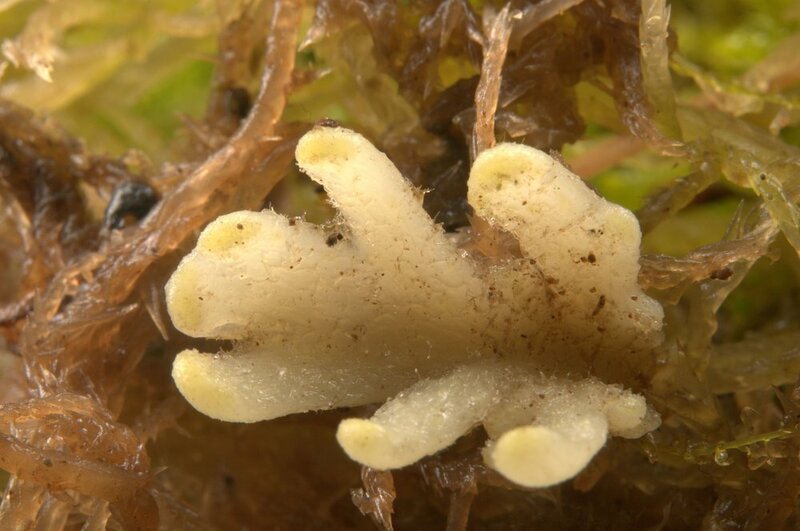 This makes them far more bendy than their dicotyledonous neighbors. 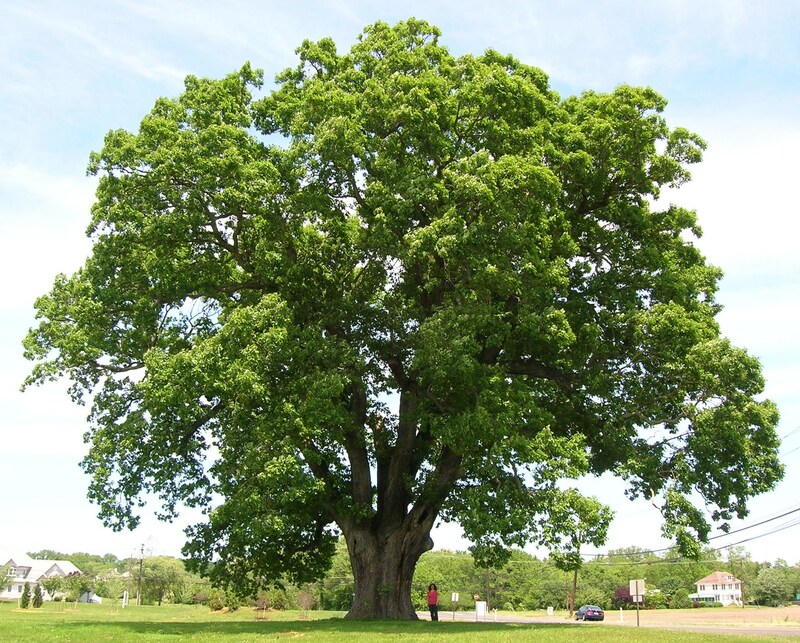 Whereas the woods of oaks and maples are really good at supporting a lot of branch weight, such wood is considerably more rigid than that of palms. Palms forgo heavy branches for large leaves and therefore invest more in flexibility. The main stems of some palm species can bend as much as 40 to 50 degrees before snapping, a perfect adaptation to dealing with regular storm surges. Another adaptation of the palms are their leaves. Unlike most trees, palms don't bother with spindly branches. Instead, they produce a canopy of large leaves supported by a flexible midrib. These act sort of like large feathers, allowing their canopy to readily shed water and bend against even the strongest winds. Although their leaves will snap if buffeted hard enough, palm canopies accrue considerably less damage under such conditions. Another adaptation exhibited by palm leaves is their ability to fold up like a paper fan. This reduces their otherwise large surface area against powerful winds. Finally, palms have rather dense roots. They sacrifice size for quantity. Instead of a few large roots anchored into the soil, palms produce a multitude of smaller roots that spread out into the upper layers of the soil. This is especially useful when growing in sand. By increasing the number of roots they put down, palms are able to hold on to a larger volume of soil and therefore possess a much heavier base. This keeps them stranding upright in all but the worst conditions. Of course, these are rather broad generalizations. Not all palms have evolved in response to such punishing weather events. Research has shown that such adaptations are more prevalent in palms growing in places like the Caribbean than they are in palms growing in the rainforests of South America. Regardless, their phylogenetic history has stood the test of time and will continue to do so for quite some time. Given the option, most of us would rather avoid a salad riddled with insects or an apple chock full of worms. Much as we prefer to avoid insect-infested fruits and vegetables, so too do many herbivores. Some plants seem to be taking advantage of this. In response to strong herbivore pressure, some plant species have evolved insect mimicry. One such case involves grass and aphids. Paspalum paspaloides can be found growing in tropical regions around the globe. In many ways they are similar to other C4 grasses. 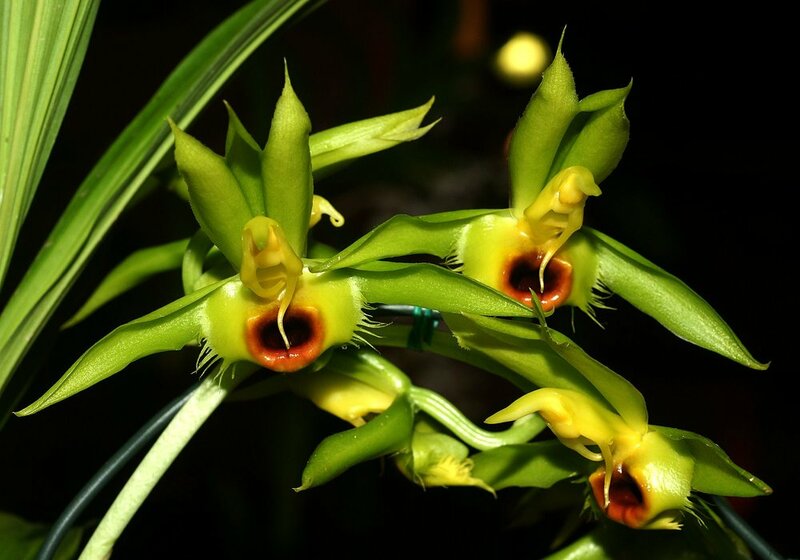 When they flower, however, one may notice something interesting. All of the flowers appear to be covered in aphids. Close inspection would reveal that this is not the case. Those clusters of dark specks swaying the breeze are simply the numerous dark anthers of the inflorescence. This has led some to hypothesize that these plants may be mimicking an aphid infestation. This observation begs the question: "what benefit is there in mimicking aphids?" There are two major hypotheses that have been proposed in order to explain this phenomenon. The first is defense against herbivory. As stated above, herbivores often avoid plant material that has been infested with insects. Aside from any potential palatability issues, large populations of insect pests can signal a decrease in the nutritional value of a potential food source. Why waste time eating something that is already being eaten? Evidence in support of this hypothesis has come from other systems. A wide array of herbivores, both mammalian and insect, have been shown to avoid aphid-infested plant material. The second hypothesis is one of avoiding future infestations. Aphids are clonal organisms with a short generation time. It does not take long for a few aphids to become many, and many to become an infestation. As such, aphids looking for a new plant to colonize habitually avoid plants that already have aphids on them. It could very well be that such aphid mimicry is a means by which the grass keeps actual aphids at bay. If this is a form of true mimicry then the question is not a matter of which hypothesis but the relative influence of each. It seems that it very well could be driven by a mixture of both strategies. Still, all of this is speculative until actual experiments are carried out. 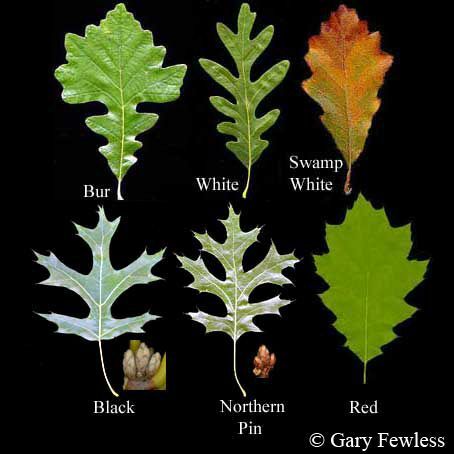 Those who originally put forth these ideas have identified similar potential mimicry systems in other plants as well. The idea is ripe for the testing! 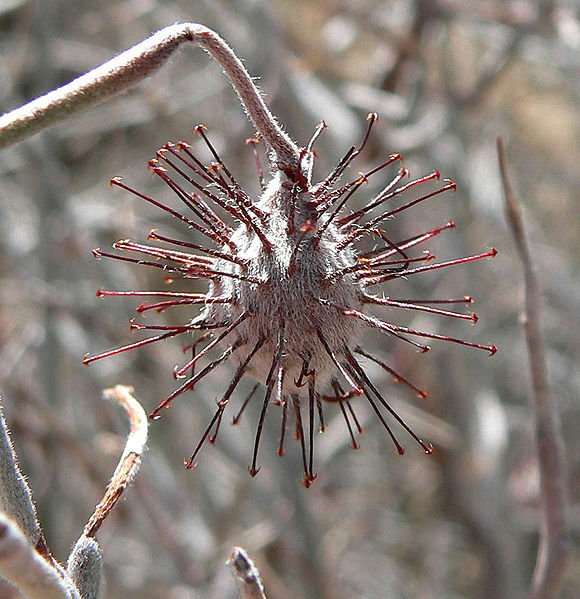 Plants have gone to great lengths when it comes to seed dispersal. One of the most bizarre examples of this can be found in an ambling Mediterranean plant affectionately referred to as the squirting cucumber. As funny as this may sound, the name could not be more appropriate. Known scientifically as Ecballium elaterium, the squirting cucumber can be found growing along roadsides and other so-called "waste places" from the Mediterranean regions of western Europe and northern Africa all the way to parts of temperate Asia. It is the only member of its genus, which resides in the family Cucurbitaceae. It is a rather toxic species as well, with all parts of the plant producing a suite of chemicals called cucurbitacins. In total, it seems like a rather unassuming plant. It goes through the motions of growing and flowering throughout the summer months but the real show begins once its odd fruits have ripened. A cursory inspection would not reveal anything readily different about its fruit. Following fertilization, they gradually swell into modest sized version of the sorts you expect from this family of plants. It's what is going on within the fruit that is rather interesting. As the fruit reaches maturity, the tissues surrounding the seeds begin to break down. The breakdown of this material creates a lot of mucilaginous liquid, causing internal pressure to build. And I mean a lot of pressure. Measurements have revealed that at peak ripening, pressures within the fruit can reach upwards of 27 atm, which is 27 times the amount of atmospheric pressure we experience when standing at sea level! 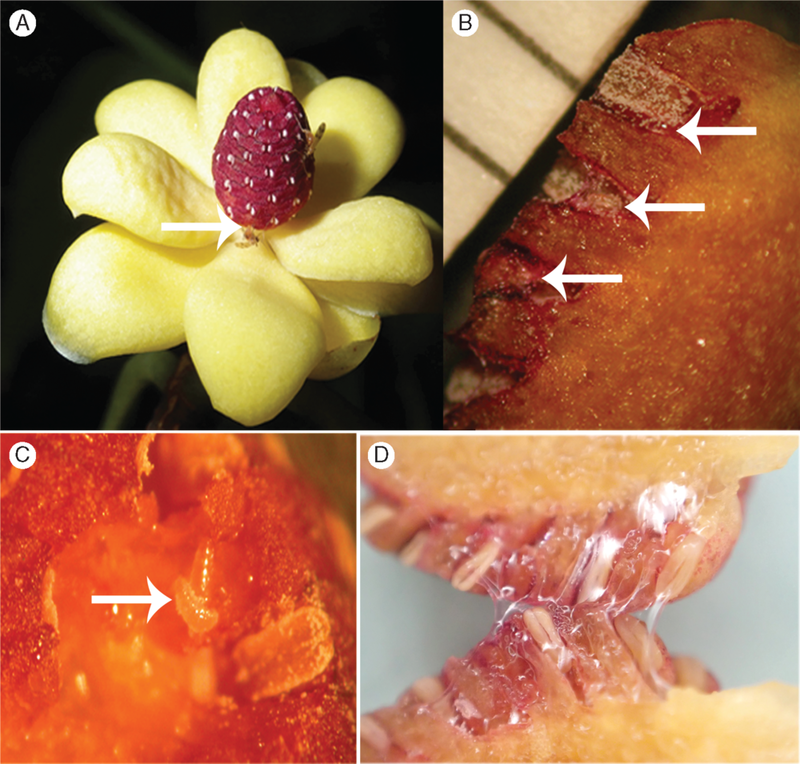 A cross section of the fruit showing the weakened connection point. At the same time, the attachment point of the stem or "peduncle" begins to weaken. With all that pressure building, it isn't long before something has to give. This is exactly the moment when the squirting cucumber earns its name. The stem breaks away from the fruit, revealing a small hole. Within a fraction of a second, all of that pressurized mucilage comes rocketing outward carrying the precious cargo of seeds with it. The result is pretty remarkable. Seeds are launched anywhere from 6 to 20 feet (1 - 6 m) away from the parent plant. This form of dispersal falls under the category of ballistic seed dispersal and it is incredibly effective. Getting away from the competitive environment immediately surrounding your parents is the first step in the success of any plant. The squirting cucumber does just that. 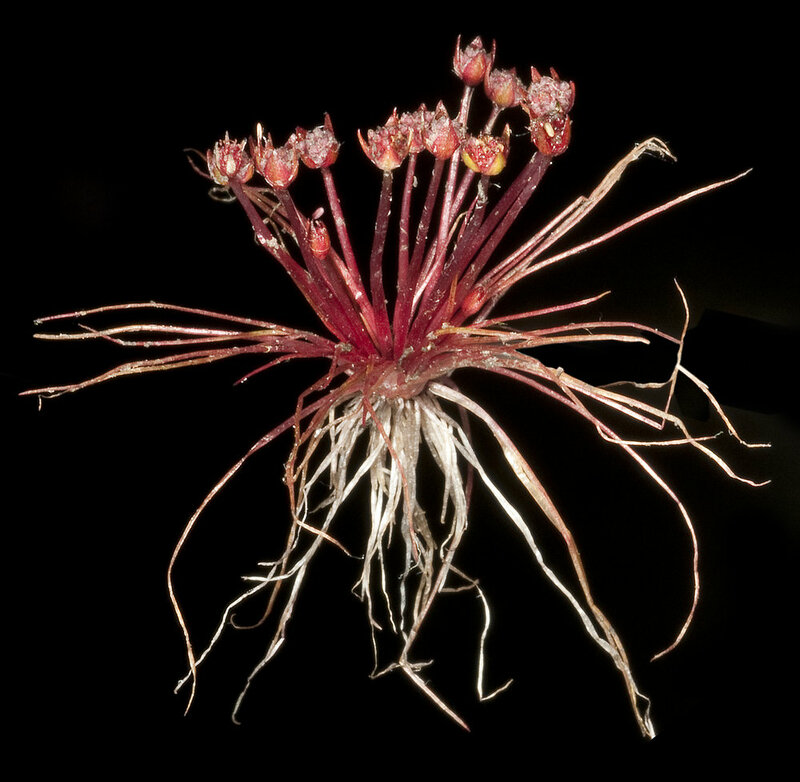 It is no wonder then that this is an incredibly successful plant species.